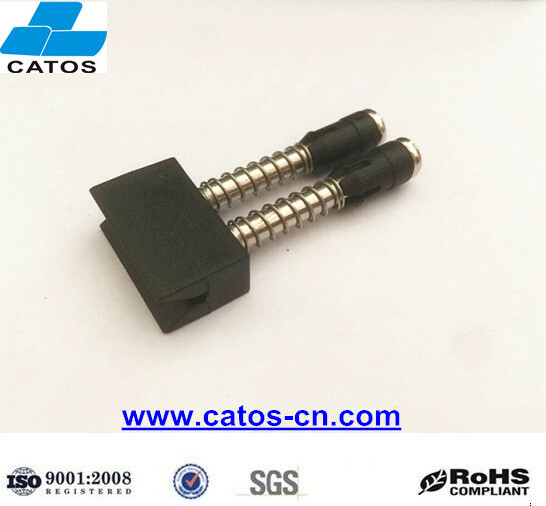 #16 Hold-downs Clamps for Pressing Components on wave solder pallet―SHENZHEN CATOS TECHNOLOGY CO.,LIMITED. 3.Press PCB to avoid from floating and lifting under soldering. 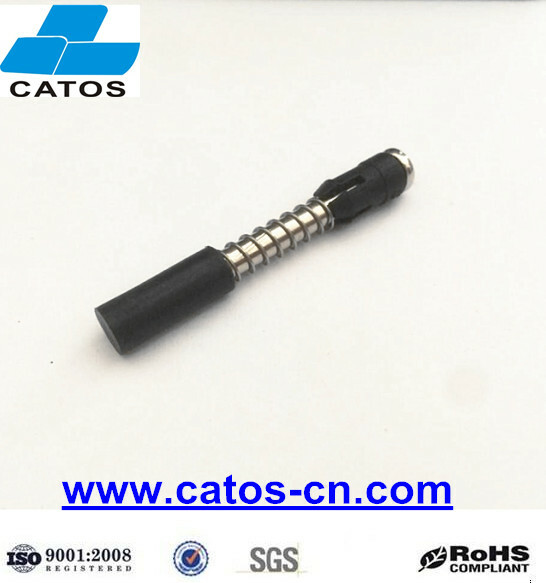 3).Working temperature: 200degree, max 280degree (10~20s). 4).It is fixed on Top Hat. 5).The action is to press PCB components to protect it from floating and lifting under wave solder process so as to create excellent solder tin. 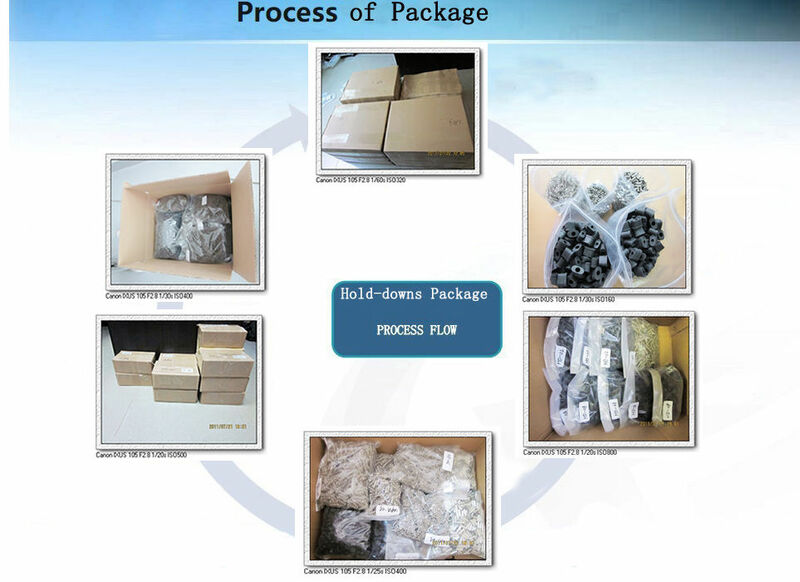 And keep no gap between PCB components and PCB board. #16 Press Components Hold Downs Clamps for Top Hat/Components Clamp Hold downs used to press PCB components to protect it from floating and lifting under wave solder process so as to create excellent solder tin. 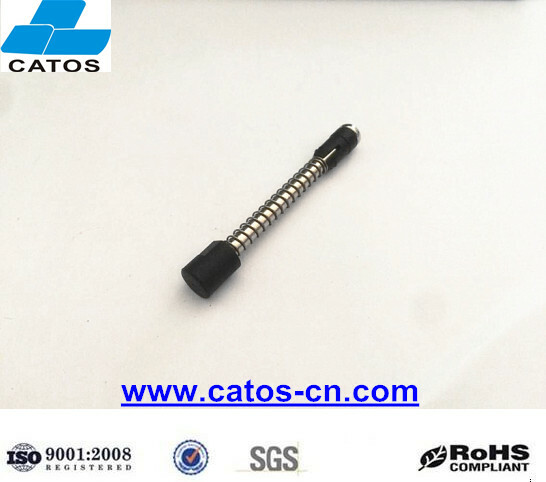 Sleeve, Carbon Steel Spring & screw. 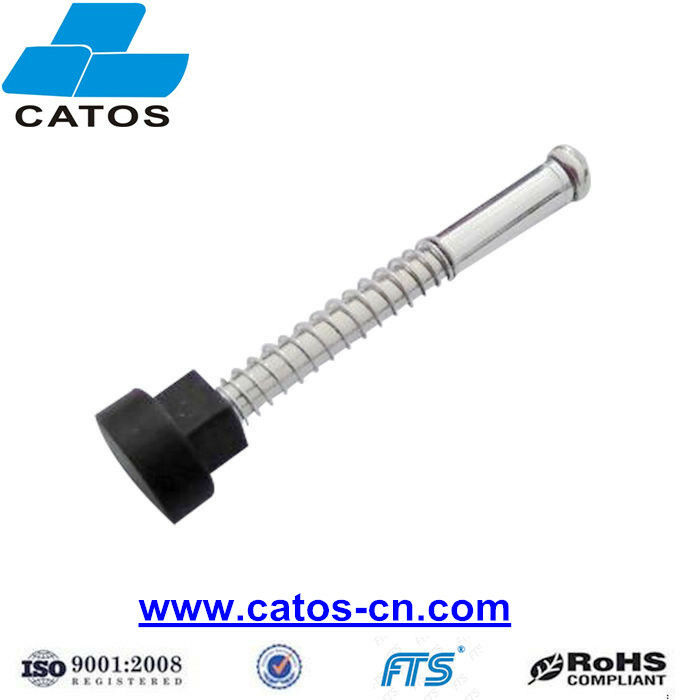 Countersunk screw supplied for attaching fixing to top hat. 1).Technical Drawing of #16 holddowns is available. 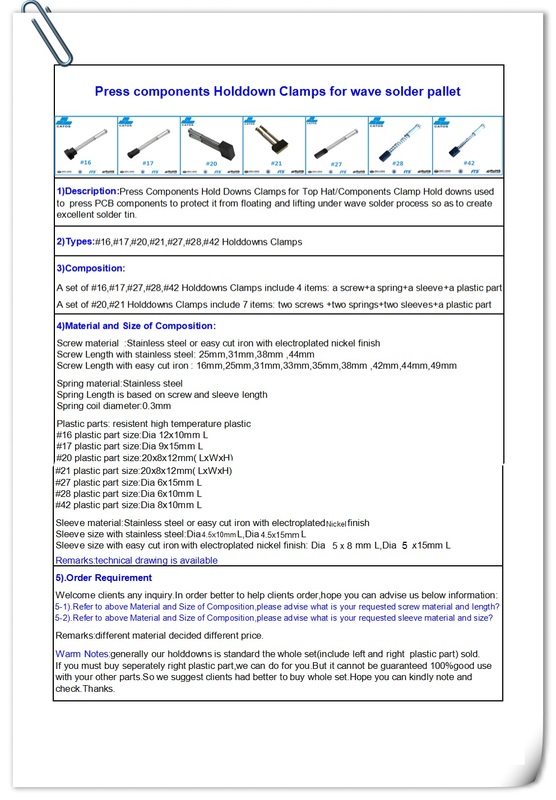 Samples and Product technical drawing is available to you for free,your inquiry is welcome! Any questions please contact me,i will do my best to serve you.